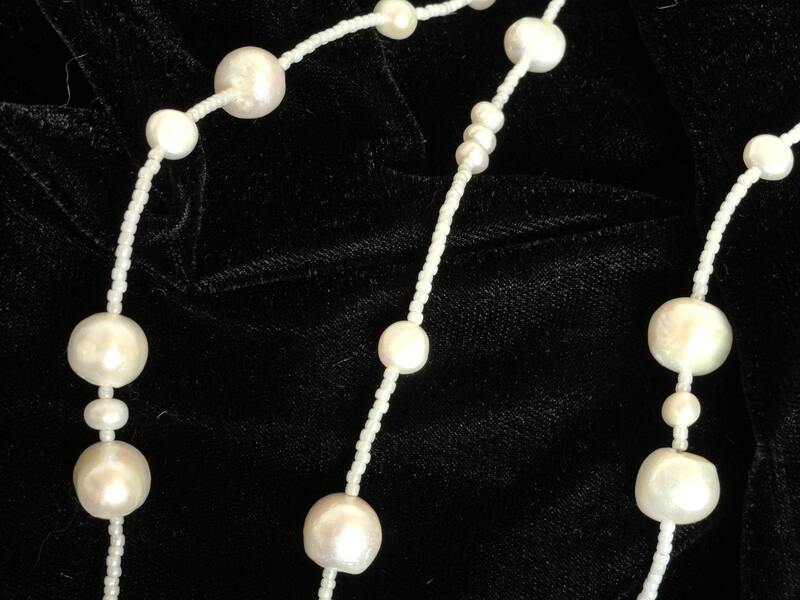 Simplicity and elegance characterize classic pieces, and nothing creates the impression of effortless style like a classic piece of pearl jewelry. 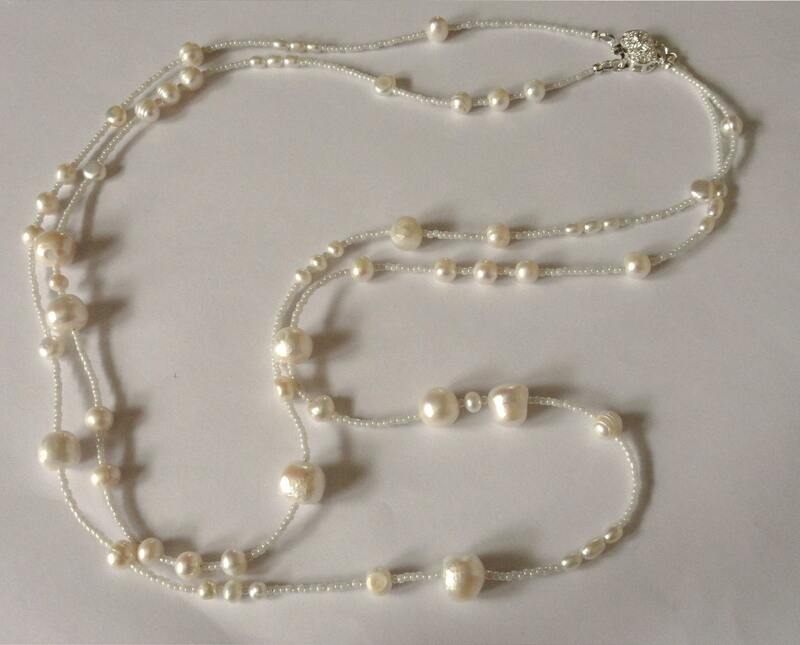 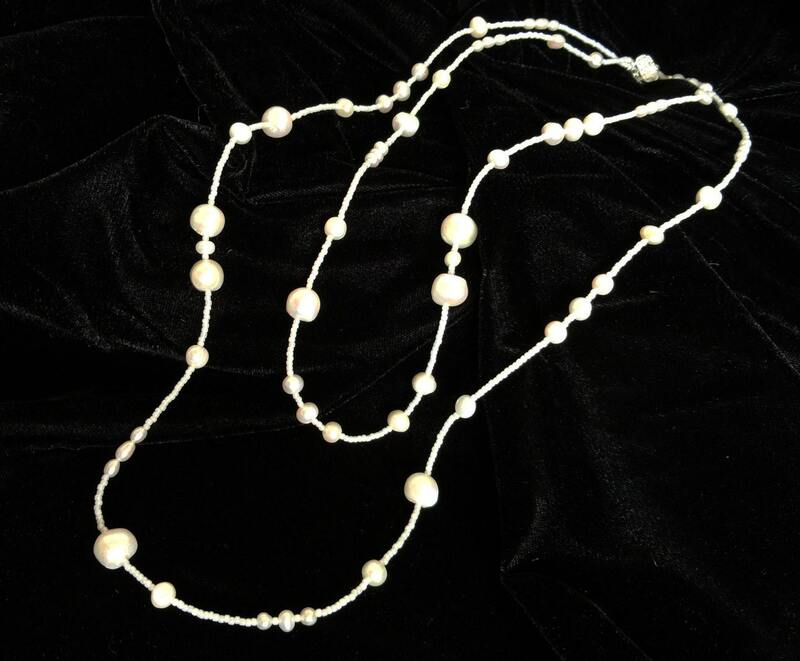 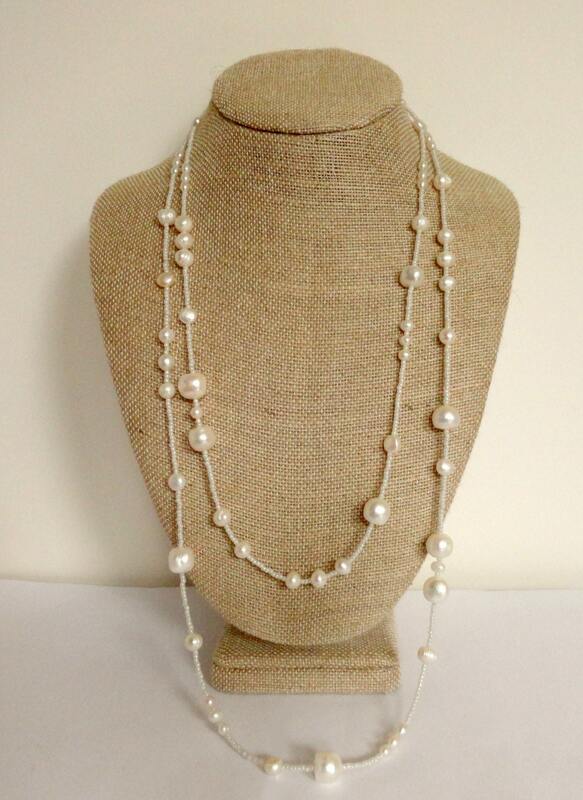 This is a contemporary update of freshwater pearls in diverse shapes and sizes with lustrous seed beads in a double-strand of an opera length. 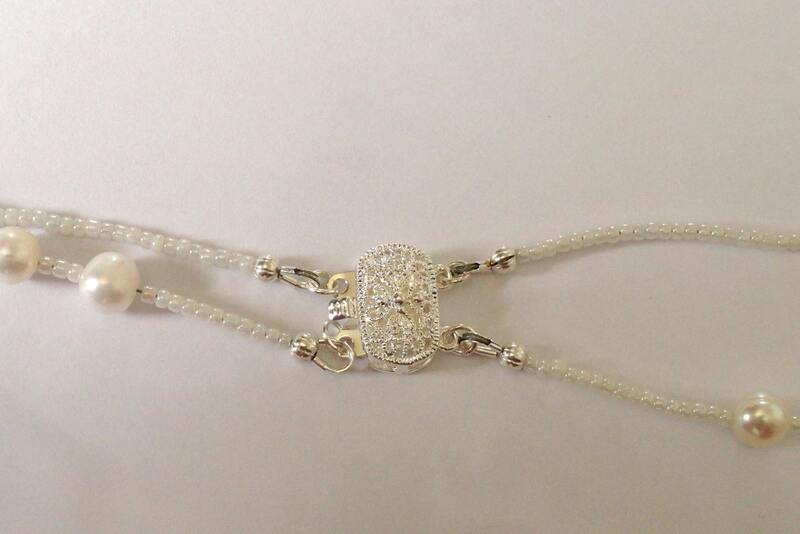 A decorative box clasp finishes the piece.